Are you showing too much leg where it’s not allowed? Remember that time when a certain celeb went to a mosque in a full-body jumpsuit that almost fit the dress code, but because it hugged her body "a bit too well," she was asked to leave the complex? You don't want the same thing happening to you. Mistake #1: Refusing to cover up. This needs no explanation. By now, most of us know that covering up is a must in some countries. Even if you're a foreigner, not knowing the dress code is no longer an excuse. To stay on the safe side, pack long skirts, loose pants, and long-sleeved tops. Take a scarf with you as an extra precaution. Eileen Fisher's Bone Mariana pants and tunic set combines fashion and function. 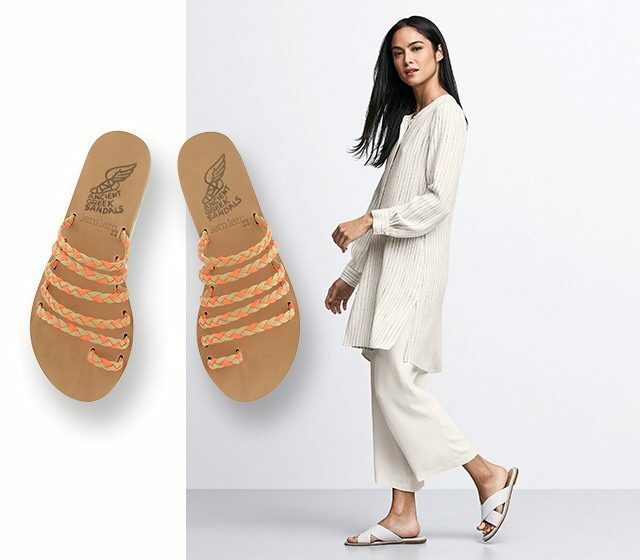 Add a dose of color with a pair of Ancient Greek Niki Braided Slides in neon orange. Mistake #2: Going on safari wearing bold, bright colors. You don't want to be the easiest prey to spot out there in the wild. This is why one must wear neutrals and khakis on safari: The goal is to blend in with the environment as much as possible. Look chic and breezy in this beige asymmetrical ruffled top from Adolfo Dominguez Woman. 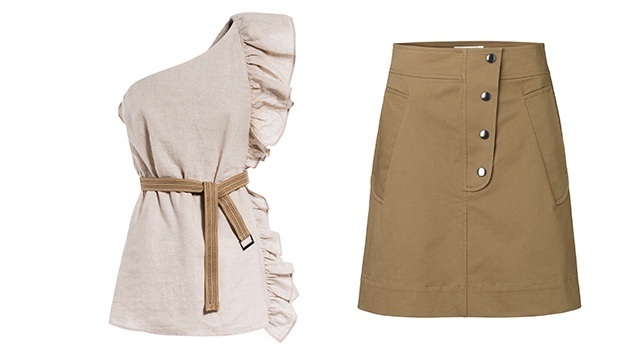 You can also opt for a khaki skirt from Libertine Libertine if you want a more minimalist or rugged look. Mistake #3: Showing skin on a temple run. In most Asian cities, you can wear almost anything, but when you're visiting temples, respect is key. Wear pants. This pair from Charli has the right length, and it fits loosely enough to make you comfortable in all the walking and climbing you'll be doing. 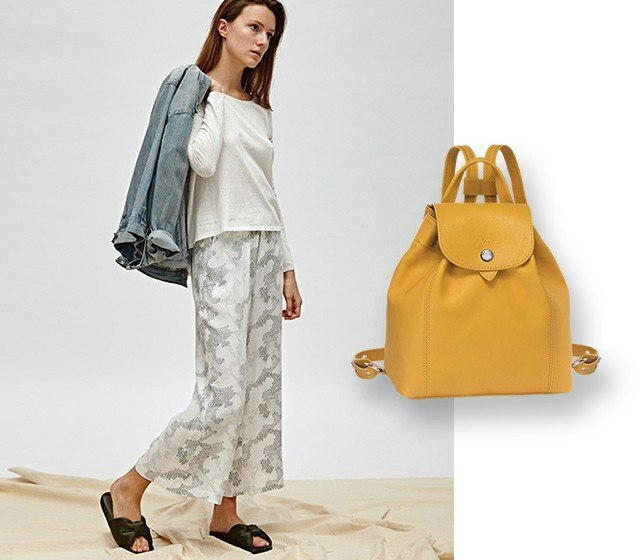 When choosing a bag to go with this outfit, go hands-free with the Longchamp Le Pliage Cuir Backpack. Mistake #4: Not dressing up in Paris. Okay, this is not so much a mistake as it is a total no-no. In Paris, it's not a question of decency but of sophistication. Stories about people who aren't dressed properly (that is, like a tourist) not being allowed into stores—or worse, pickpocketed—are real. So try to fit in as much as possible. Anyway, you're in the fashion capital of Europe. If it's summertime and heat is a concern, go out in a sundress like this striped one from LOST + WANDER. Pair it with these silver slides from Christian Louboutin if you want to be a little extra. Mistake #5: Forgetting to layer. Layering can make you look instantly stylish, and it's functional, too. With your thermals underneath, wearing something like this long green coat and trousers from Libertine Libertine will warm you up in Japan or Korea in early spring. 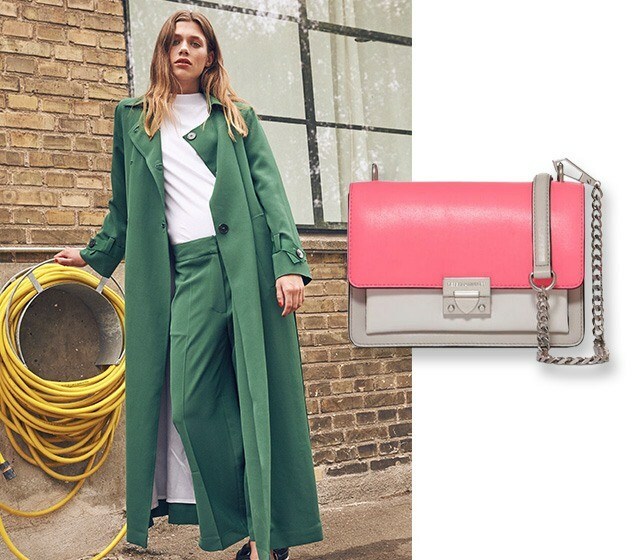 Pick a pink purse, like the Christy shoulder bag from Rebecca Minkoff, to go with this green set. We all want to enjoy our travels and look good while we're at it. But it's also our obligation to adapt to the culture of the place we're visiting. Minding your wardrobe goes a long way when it comes to celebrating the diverse cultures in the world. Find all your travel essentials, regardless of the season and your destination, at Rustan's. Don't know where to travel to next? Get ideas by visiting Rustan's Your Summer Escape Travel Fair at Shangri-La Plaza on April 27-29, where you can get awesome flight and fashion deals. For more information, go to Rustan's Facebook page.